Are your aching knees becoming rather more painful? If the answer is yes, the United Kingdom industrial strategy could have particular pertinence. John Egan traces the path medical technologies might take as they pass into the policy labyrinth of the Brexit negotiations. 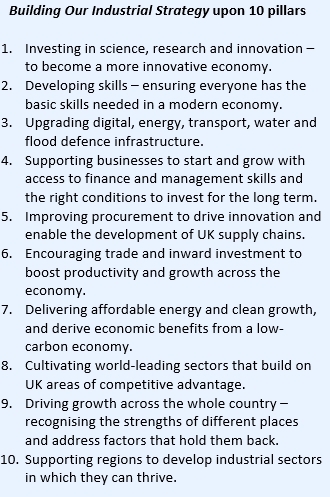 The Building Our Industrial Strategy green paper, which this week reached the end of its consultation period, is the UK Government’s vision beyond the Brexit horizon for how living standards will improve through economic growth that will spread across the whole country. According to Prime Minister Theresa May this “Plan for Britain is not just a plan to leave the EU [European Union], but a plan to shape a new future for the kind of country we will be when we have left”. Launched with much fanfare on January 23 this year, the green paper presents 10 pillars (see box) believed to be important in delivering an economy that works for everyone. It included an invitation for anyone with an interest to take part in discussions in order to make the industrial strategy effective. In response to questions from Chief-Exec.com, a spokesman for the Department of Business, Energy and Industrial Strategy said that now consultation is closed, all the responses received will be reviewed as part of further policy development. However the department was not yet in a position to give a breakdown on numbers. The Association of British Healthcare Industries (ABHI) has a strong interest in both the outcome of the Brexit negotiations and in the subsequent strength of the UK economy. Members of the ABHI produce technologies that are essential to the delivery of modern healthcare and contribute to improvements in the quality of care provided by the NHS. The health technology sector contributes to the UK economy by employing about 90,000 people in 3,000 companies, with a combined turnover of about £17 billion. They have recently seen employment growth of 11 per cent. A knee replacement prosthesis is a typical health technology. For 50 years the UK has taken a pre-eminent role in the development of this kind of orthopaedic implant. According to the National Joint Registry in 2015, more than 104,000 patients were treated in England, Wales and Northern Ireland for disabling joint pain with a knee prosthesis that is able to restore normal, pain-free motion. It is one of the most effective surgical treatments in terms of quality of life improvement and comes at a total cost of about £6,000 per patient in NHS hospitals. The ABHI response to the industrial strategy consultation, entitled Healthy outside the EU, was published earlier this month. 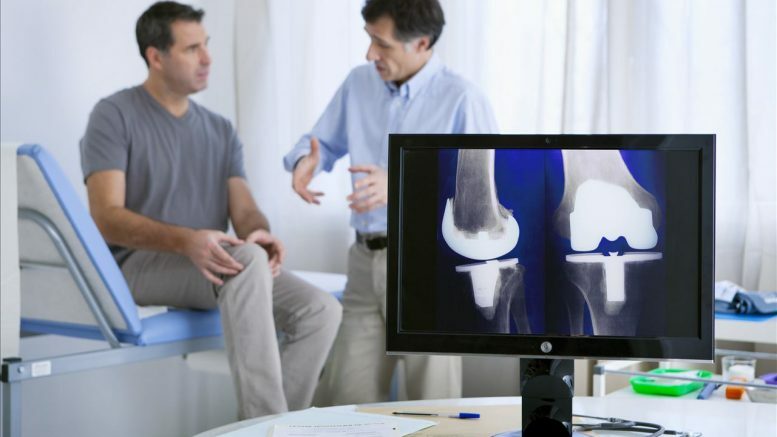 It makes clear what members who supply artificial knee joints and other medical technologies need in order to increase efficiency of healthcare delivery and improve patient outcomes. First and foremost, the Government should ensure regulatory stability. In the short and medium term, this would require a large degree of continuity with the current and future EU health technology regulations. The UK is well endowed with excellent regulatory organisations, notably the Medicines and Healthcare products Regulatory Agency (MHRA) and notified bodies, who should continue to play a central role in medical technology regulation. After Brexit, the ABHI seeks to ensure support for international trade and for border controls that do not impede the supply chains for healthcare technologies by increasing costs and delays. This would mean a continuation of free trade with Europe and trade with non-EU countries on the most beneficial terms. The ABHI also recommends a range of measures that will support industry, particularly SMEs, through the challenges Brexit may bring, including the filling of skills shortages and the need for research and development support. These are not unique to medical technology, but the specific measures proposed by ABHI are. And there is a highly valuable and uniquely British opportunity that could be unleashed to re-energise the vitality of the medical technology industry – a synergistic relationship between industry and the NHS. Such an opportunity has been framed in a series of policy initiatives for well over a decade, but with little to show to justify their visionary objectives (DEJA REVIEW: What lessons can be learnt from the past). Problems with strategies of all kinds occur when they come to be implemented and their actions are passed down to those who reconfigure them for local purposes, while the strategists move on. Perhaps, if the challenge of Brexit can do anything, it could ensure that the strands of the UK healthcare ecosystem finally work together to achieve the prosperity and well-being that is at the heart of the industrial strategy. Earlier this month, the ABHI’s Chief Executive, Peter Ellingworth said: “Our aim is to be positive, constructive and innovative in advancing policies that will benefit the MedTech sector, the patients we serve and help our health and care system address some of the challenges it faces. Brexit brings challenges, but [the] recommendations will ensure that the industry is primed to fully realise its potential and seize the opportunities that this time of change will bring”. So what will happen with the initiatives proposed by ABHI? Building Our Industrial Strategy proposes “sector deals” for industry to organise behind strong leadership to deliver upgrades in productivity and competitiveness. Life Sciences is one of five initial sector deals (along with ultra-low emission vehicles, industrial digitalisation, nuclear and creative industries). The ABHI proposals will then feed into the Life Sciences sector plan. Professor Sir John Bell, who is leading the Government’s Life Sciences Industrial Strategy Board recently said: “I very much appreciate the contribution ABHI has made to my work on the Life Sciences Industrial Strategy. This document is a very useful synthesis of the industry’s position”. For readers experiencing growing knee pain, it is more than a document. It is a route to access the health technologies needed to maintain quality of life. How it does this will be an indicator of the success of the post-Brexit UK industrial strategy.